Kirkland opened his architectural practice in 1846, at 62 Queen Street, and later moved to Bothwell Chambers, 4 Bothwell Street. He is listed in the Post Office Directories until 1861, at which time he moved to London and then emigrated to the USA, arriving in New York in 1868. Also a chartered engineer, he gained invaluable experience in town planning through his involvement with the developer James Scott , for whom he designed Bothwell Circus, 4-26 Bothwell Street (1849), the Eagle Building, 205-229 Bothwell Street (1854, partially demolished), and the tenements of Scott's Stobcross estate, Anderston (1850-56), with John Bryce, James Hamilton and James Russell as consultants. The remains of the Eagle Building (together with its eagle sculpture) have been re-erected in the foyer of the building which replaced it, c. 1990. His finest Glasgow building, the exuberant Venetian-style warehouse at 37-51 Miller Street (1854-6, dem. 1969), was one of the city's greatest losses in the demolition derby of the 1970s. His reputation now rests chiefly on the triumphal arch pylons of the Carlton Place Suspension Bridge (1851-3, rebuilt 1871). 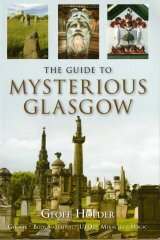 His buildings outside Glasgow include, at Kilbarchan: Glencart House (1840), Tower House (1850) and the tower of the Old Parish Church (1858). Kirkland's departure from Glasgow to the USA may have been the precipitated by the death of his first wife in 1850 and the death of his second wife in 1853. They both died in childbirth and he married once again in 1855. However, it was the rapidly expanding cities of America's mid-west and the opportunities they offered which ultimately motivated him to relocate and start afresh. He settled in Jefferson, Wisconsin, and moved to Chicago in 1873, where he became the city's Commissioner of Public Buildings, 1879, and the co-designer of its County Building, with J.J. Egan ((1882, dem. 1909). He died at Jefferson, Wisconsin on 28 August, 1892, and is buried at Graceland Cemetary in Chicago. His first wife's grave in Sighthill Cemetery is marked by a now shattered monument, erected c. 1850.